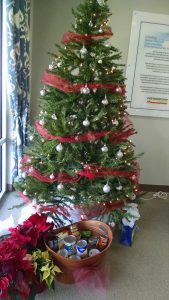 We Kicked Off The Season With a Rockin’ Neighborhood Holiday Event at Ashlake! Cornerstone Homes helped kick off the holiday season with our Neighborhood Jingle & Mingle event at The Villas at Ashlake sales office, on November 29th. 25-plus attendees mixed and mingled with their future neighbors, enjoying holiday treats and festive music as they took the first step toward making lasting friendships at Ashlake! One of the reasons we hold “mingle events” is so that our new homeowners can start the process of forming new friendships. Friendships are vitally important for health and emotional wellbeing, especially as we get older. That’s why Cornerstone Communities are dedicated to creating an environment that fosters close-knit relationships. 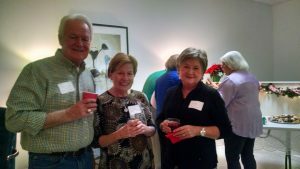 "This event was a great opportunity for our homeowners to get to know each other. They got to see where they will live, and started talking and planning for the future," said salesperson Carrie Jamieson Morak. "This is the best group of homeowners. We can't wait to see who else is coming to live at Ashlake!" 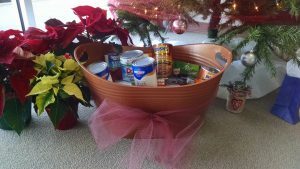 In the spirit of the season, our guests also brought donations of canned food items for the Chesterfield Food Bank, a nonprofit organization committed to being a hand up to individuals that need help but have fallen through the cracks of our governmental social services programs and our community. It was a good time all around, as we launched the holiday season – and a lifetime of fun!